ShipStation has worked hard to make shipping easier for merchants, and this includes looking for ways to help them save money. 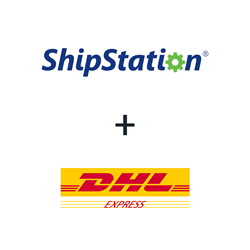 ShipStation, the leading web-based e-commerce shipping solution, announced today that it has launched ShipStation Carrier Services with DHL Express, the world's leading international express services provider. U.S.-based ShipStation customers will now be able to save 20% on DHL Express international shipping rates. Online merchants that use ShipStation can access DHL Express’ discounted rates through the new ShipStation Carrier Services, which is a single postage purchase payment method. ShipStation customers who choose to use DHL Express to ship packages internationally will be able to enjoy the following features and benefits: Free electronic signature, post-billed postage, automatically-generated customs forms and more. “ShipStation has worked hard to make shipping easier for merchants, and this includes looking for ways to help them save money. We are excited to offer this special DHL Express pricing to our customers,” said Robert Gilbreath, Vice President of Marketing and Partnerships, ShipStation. ShipStation is the leading web-based shipping solution that helps e-commerce retailers import, organize, process, and ship their orders quickly and easily from any web browser. ShipStation features the most integrations of any e-commerce web-based solution with over 150 shopping carts, marketplaces, package carriers, and fulfillment services. ShipStation's many integration partners include eBay, Jet, Wal-mart, Amazon, Etsy, BigCommerce, Volusion, Woocommerce, Shopify Plus, Squarespace, and Magento; along with carriers such as FedEx, USPS, UPS, Canada Post, Australia Post, Royal Mail, and DHL. ShipStation has sophisticated automation features such as automated order importing, custom best practice rules, product profiles, and fulfillment solutions that enable its users, wherever they sell and however they ship, to be exceptionally efficient at shipping orders. ShipStation is a wholly-owned subsidiary of Stamps.com (Nasdaq: STMP). For more information, visit http://www.shipstation.com. DHL is part of Deutsche Post DHL Group. The Group generated revenues of more than 56 billion euros in 2014. For more information, visit http://www.dhl.com/.